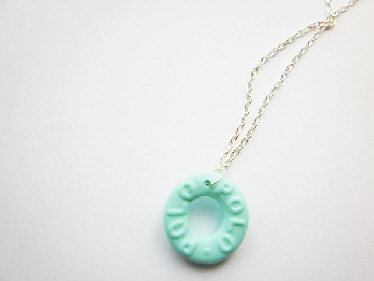 Small handmade polo necklace made from polymer clay. Attached to a 18in silver plated chain. Also available on a 24in silver chain.